Legendary Branko Bosnjak Memorial Tournament held for the twentieth time this year! This tournament has a story like textbook Kyokushin work. Started for twenty years ago, worked up from scratch, an for each year the tournament grow as a result of hard work! This tournament are well known for the great hospitality, and that you will be taken care of – who ever you may be. Branko Bosnjak Memorial karate tournament was founded in memory of Branko Bošnjak, Croatian soldier and member of Mladost Samobor for many years, who lost his life in Homeland war as member of Special Unit Police PU Alfa Zagreb. 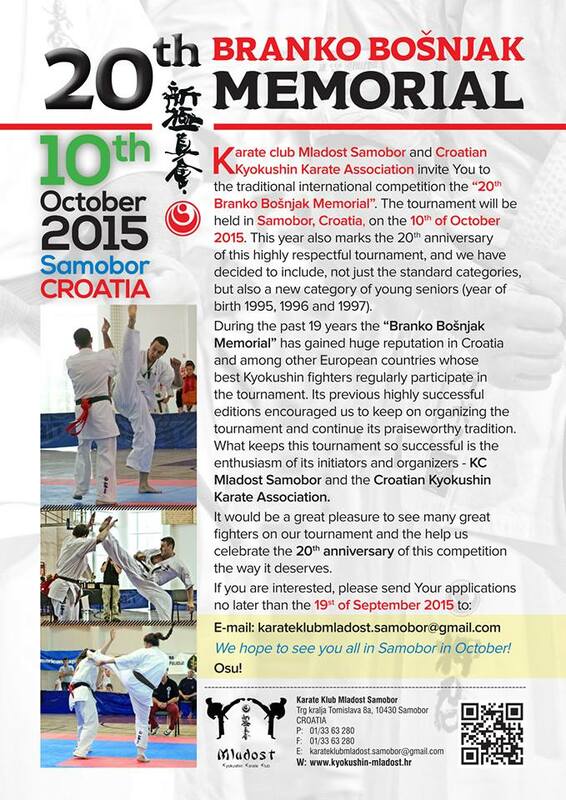 More info under the video..
During the past 19 years the “Branko Bošnjak Memorial” has gained huge reputation in Croatia and among other European countries whose best Kyokushin fighters regularly participate in the tournament. Its previous highly successful editions encouraged us to keep on organizing the tournament and continue its praiseworthy tradition. 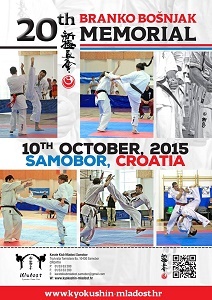 What keeps this tournament so successful is the enthusiasm of its initiators and organizers – KC Mladost Samobor and the Croatian Kyokushin Karate Association. It would be a great pleasure to see many great fighters on our tournament and the help us celebrate the 20th anniversary of this competition the way it deserves.